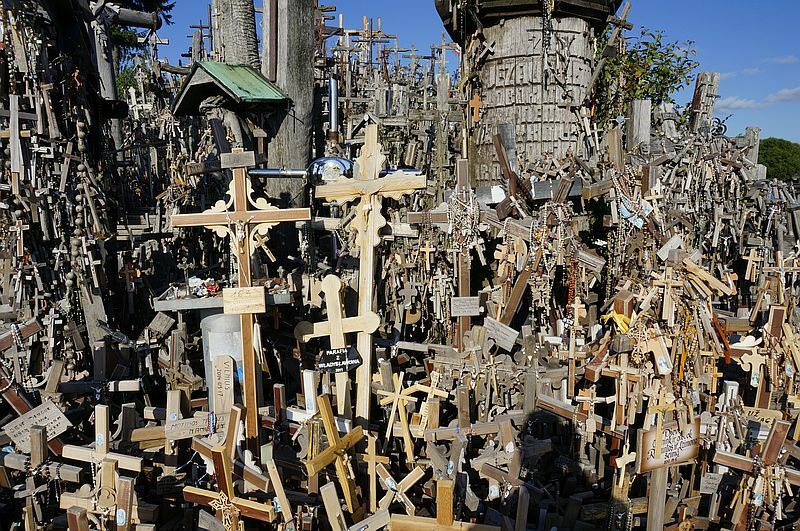 We arrived into Lithuania and quite close to the border we went to the Hill of Crosses. 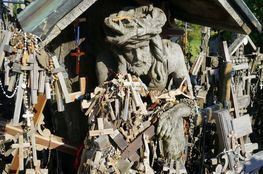 Although a mound more than a hill, it has become a place of pilgrimage for Lithuanian Catholics and is covered with over 100,000 crosses. 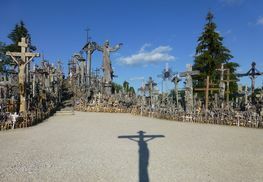 During Soviet occupation the site was bulldozed but this did not stop the people from continuing to leave crosses. In 2012 the Cold War Museum opened at the old Plokstine missile base. It was the first nuclear missile base of the Soviet Union, an underground R-12 Dvina ballistic medium range missile base. We were told that the missiles were pointed and Great Britain, Norway, Germany and Spain at various times. Construction started in 1960 and the base was operational from 1961, closing in 1978. A very interesting tour with guided recordings in english and all written material in english too although the guide could not speak english. 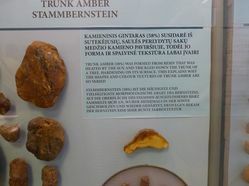 We visited the Amber Museum on the coast at Palanga. The amber is formed from resin from a pine which released more resin as the temperature increased. This led to the extinction of the pine as the climate changed. It was interesting to see the many different insects, spiders and plants caught in the resin which is now amber. 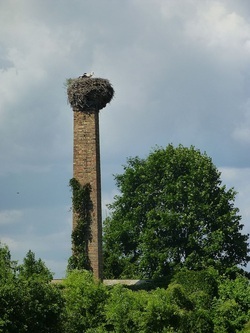 We had seen storks and nests with young everywhere. And no doubt we will see them in Poland too.